The Vermont State Curator's Office oversees the ongoing care, conservation and interpretation of the historic Vermont State House and its collections of fine art, decorative art and historic furnishings. 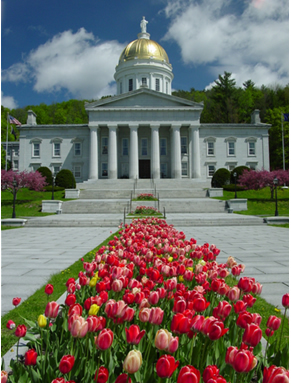 We also manage the State House as a museum, and do the same with rotating art galleries at the Vermont Supreme Court and Governor’s Office in the Pavilion. Historic preservation guidance for the care of BGS properties, and the care, interpretation and management of the State Art Collection are other duties of our office. Our website can be accessed by clicking here - www.curator.vermont.gov.